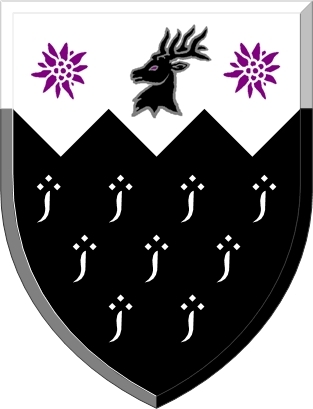 Counter-ermine, on a chief indented argent, a stag's head sable between two edelweiss blossoms purpure. Argent, a dance enhanced purpure. Arms from the Ermine Book.